Edinburgh 1828: In the starkly-lit operating theatres of the city, grisly experiments are being carried out on corpses in the name of medical science. But elsewhere, there are those experimenting with more sinister forces. There are occasional times when I am not very willing to look upon the bookshelves of my library. Those are the times when the time seems so short and the number of titles I wish to read so overwhelming. Authors who I love and I wish to catch up with all their works, series started which need to be finished, new writers awaiting patiently to be discovered are all reasons for a mild personal depression on those passing moments. Brian Ruckley’s “Godless World” is not a part of any of these particular points of pressure on my reading habit. He was one of the new writers who got a chance for a reading early after his first debut, his series is long since finished and he is one of the authors I love and know almost all his works. More so, Brian Ruckley’s newest novel, “The Edinburgh Dead”, stepped over the queue of waiting books and reached my reading table after a little over a month since its publication. 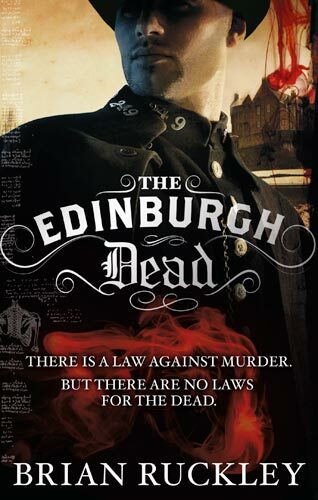 “The Edinburgh Dead” was born, as we can find out from the interview at the end of the novel, from Brian Ruckley’s attraction for the Edinburgh’s history and in particular from the events of the Burke and Hare murders. Brian Ruckley takes some of the events of 1828, keeps some of the historical facts alive, shifts others into fantasy to suit the needs of his plot and crafts a story that is part historiography part pseudohistory, part fact part fiction, but captivating in its entire form. Almost everything there is to know about Edinburgh of 1828 can be found in the pages of “The Edinburgh Dead”. Brian Ruckley treats, more or less, each aspect of the changing period in the life of Edinburgh within his story. The geographical, military, cultural, diplomatic, economic and environmental components are used to breathe life into Edinburgh of 1828, every detail, small or big, put in its proper place to make the setting as vivid as possible. I believe that the amount of documentation made by Brian Ruckley must be extensive, but to say that will sound overly technical. And it would not be fair, since the author softens the cold, harsh facts of history with his words and descriptions. The core of the story is a murder investigation, but which in time turns into surprising paths and transforms itself step by step. The road taken by the investigation moves naturally and logically, there are no moments when the plot missteps or overreaches its course. And although those responsible are revealed early on the march towards the final conflict offers plenty of twists, a couple of action scenes and nothing to be taken for granted. Leading the investigation is Adam Quire, a determined sergeant in the Edinburgh Police with a tumultuous past. Brian Ruckley puts an equal effort in building the main character as in bringing the Edinburgh of 19th century to life and these efforts make Adam Quire a very strong character. Approaching Adam Quire from both his physical and mental angles Brian Ruckley makes him an entirely human character, with as much faults as qualities and a personal way of tackling life. What sets Adam Quire apart from other character will be the natural emotion of fear, felt by Adam but not as often as it should by other characters in fiction. “The Edinburgh Dead” is not entirely without fault. We move within the confines of a time and of a profession, but we stumble upon an overly used cliché. As a matter of fact, Hollywood used the stereotype of the suspended police officer trying to solve a crime so much that it stings my eye at its faintest appearance. In Brian Ruckley’s novel, at a certain point, it would have been understandable, but it is not sustained sufficiently by the story and crumbles on itself. Also, Adam Quire is a powerful character and Brian Ruckley takes a look into his past, an interesting and excellent executed look. But it is the only one and in my opinion it would have worked if it had been included within the story instead of taking an actual journey into the past too. I did enjoy this journey into Adam’s past though, solitary as it is, and I will set this issue aside. However, Adam Quire also overshadows every other character of the cast and this is a bit unfortunate. There are a few minor characters that show promise, but their development is unfulfilled. As for the negative characters, I am certain that they would have benefited more from a grander growth of their personality. But overall, these issues have a small impact on the entire structure of “The Edinburgh Dead” and they do not make it shake or break at any moment. It is always nice to see authors stepping over the boundaries of genres, changing theme and gear. Brian Ruckley steps on a different path with “The Edinburgh Dead”, but he does it with remarkable and magnetic style and before it I’ll take my hat off and bow to. "Fingers and Other Fantastic Stories"
Previous works reviewed on my blog: "White Nights, Black Days" & "The Chocolate Testament"
Marian Coman is part of a young generation of Romanian writers, but he is one of the few who touches with the strokes of his talented pencil the realms of the speculative fiction. Marian Coman was born on May 1977, in Mangalia, Romania and is currently the editor-in –chief of the newspaper “Obiectiv – Vocea Brăilei”. He graduated the courses of the Petre Andrei University with a specialization in psychology and social assistance. Marian Coman made his debut at the age of 17, when he published his first short story. That debut was followed by other short stories published in a number of Romanian anthologies and by the editorial debut with the personal volume, “Nopți Albe, Zile Negre” (White Nights, Black Days), in 2005. Since the release of his first personal volume Marian Coman also published another fiction collection in 2007, “Testamentul de ciocolată” (The Chocolate Testament), and a publishing volume, “Teoria flegmei. Apel la mitocănie” (The Phlegm Theory. Appeal at Grossness). His work was recognized with an EUROCON Award in 2006, a Kult Award for personal volume also in 2006 and with another Kult Award, for exceptional literary quality, in 2007. “Fingers and Other Fantastic Stories” is his first volume to be translated into another language, collecting four short stories previously released in “Nopți Albe, Zile Negre” (White Nights, Black Days) and giving a small measure of the talent Marian Coman posses. “Fingers” is the story of a man in a strange relationship with the warp on his right forefinger and recollecting some of his childhood memories. It is one of the most evocative pieces of Marian Coman, although this particular aspect will appeal differently to the Romanian readers than those outside. That doesn’t mean that only Marian Coman’s compatriots will find this story captivating, I only believe that the points of interest for “Fingers” will come from different angles. Set during the Communist regime of Nicolae Ceaușescu the story connects, to a point, with the collective memory of the Romanian readers putting on the wall scenes and events which can prove to be painful and sweet in the same measure. For other readers, these scenes might create an eerie and strange atmosphere, bitter here and there, but true to the reality of those historical times. That harsh period of time is dressed however in the clothes of fiction which bring all the readers to the same ground, allowing them to share some weird and unsettling moments together. “The Bathroom Door” is the story of a boy who moves together with his parents in a new apartment only to find that the bathroom connects to a different realm. This story touches again the period of the Communist regime in Romania, but less than the previous one. Instead is more concentrated on the fictional elements, bringing forth terrifying images in a bigger or smaller scale. “The Bathroom Door” has a humorous side, that might seem unwelcomed in the context of the story, but which relieves a little the heavy atmosphere set by the general line of this drama. In “Unwired” (which can be read on Grasping for the Wind too) a few survivors of a mysterious event find themselves on an island sometime after their escape, with a young boy different from the rest of the island’s population as main character, finding himself in search of acceptance. Marian Coman creates a fictional setting and situation, easily identifiable throughout the story. However, the human condition is taken into account in its full dimension. Particularly when the innocence embraces the violence and cruelty. “Unwired” is a very short, but sad story, which leaves the reader in a state of melancholy. The monks from “Between Walls” find that the walls of their monastery are unsettled by strange noises. In the search for the source of those noises they will also attempt to cleanse their monastery of its disquietude. “Between Walls” has at its base one of the most known Romanian legends, that of the master builder Manole. His legend, described in the folk ballad “The Monastery on the Argeș River”, tells the myth of the onymous monastery. Basically, the master builder Manole and nine of his men are hired by Negru Vodă to build the most beautiful monastery only to see the walls they raised by day crumbling by night. Manole has a dream in which learns that in order to finish the building he and his men have to sacrifice some very dear to them and the next day that person proves to be Ana, the pregnant wife of Manole. After the master builder Manole bricks his wife inside the monastery’s walls Negru Vodă leaves him and his men on the building roof to prevent them to raise other, more beautiful, monastery. Manole and his men make wings from the roof’s tiles, but fell to the ground and die one by one. It is said that in the place where Manole fell it is now a spring of clear water. Marian Coman changes the approach of the legend, giving it a new perspective, a background for the marriage between Manole and Ana and a glimpse into the monastery’s future. The author also offers a natural environment for the human character and condition within “Between Walls”. 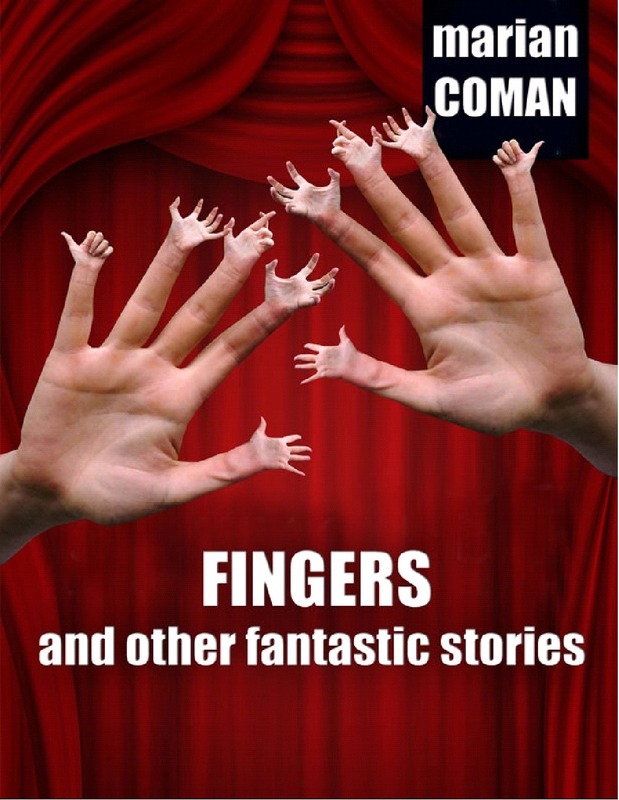 “Fingers and Other Fantastic Stories” is a short collection of stories, but it gives enough opportunity for Marian Coman’s talent to surface. A flowing language, kept with an appropriate translation as far as I can see, a mind that spawns images and scenes with a discomforting ease and an ability to give grace to tragedy are qualities that make Marian Coman a unique and powerful writer. I only hope that he receives the deserved occasions to enchant the readers as often as possible, equally in his native language as in others around the world. Black Room is an imprint of parent company Apex Publications. A spin-off, if you will, created to cater to the types of awesome books that don't fit the mold of "commercial", but that still deserve proper attention and publication. Our titles will be the type that leave a mark in your mind long after the last page is finished. We want these books to step up to the boundaries of genre fiction, evoke the names of the great ones, and jump as far as they can. Already Black Room Books has a few titles prepared for future release, Tim Waggoner’s “Like Death”, Jennifer Pelland’s “Machine”, J.M. McDermott’s “Disintegrations Visions” and the new volume in Lavie Tidhar’s collection of world SF, “The Apex Book of World SF 2”. However, the honor for opening the ceremony goes to Tim Waggoner’s “Like Death”, novel scheduled for release on 25th October and which already has an excellent cover, although it is a very chilling one. 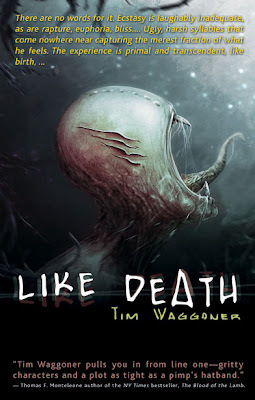 Tim Waggoner’s “Like Death” is at its second publication with Black Room Books, after the initial release in 2005 from Leisure Books, but since it was under my radar then and the cover creeps me out I am happy that it sees the light of publishing again. For more information about all that is prepared on the table of Black Room Books we can visit their website, blackroompub.com. And let’s wish Black Room Books a warm welcome and a long stay in the world of publishing. Legends and fairy tales are the most important structures in the foundation of my reading experience. Among the stories that made their way onto my reading table at the beginning of my adventure in the fiction world one in particular springs immediately from my memories, a heavy volume of collected world legends and fairy tales. I believe that I still have that volume and although it is battered by time and numerous readings I think I’ll dig it out for a pleasant journey down the memory lane. In time my taste for legends suffered changes, but my love for these particular stories only grew. This is one the reasons for Paul Finch’s anthology, “Terror Tales of the Lake District”, due to be released by Gray Friar Press this month (I believe) made the bells of my interest rang loud. And it is not the only one. 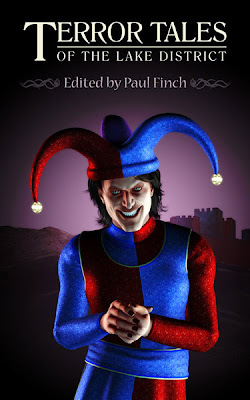 The demented clown of Muncaster, the winged horror of Langdale, the drowned bride of Windermere or the nightmares on Burnmoor are offering plenty of reasons for my mind to go wild because of the curiosity inflicted by them. I will add to this a few names that are on the line up of “Terror Tales of the Lake District”, as well as on my favorites list, such as Gary McMahon, Ramsey Campbell, Simon Bestwick, Reggie Oliver and Carole Johnstone (whose stories I recently re-discovered and were more impressive than the first time) and there is no wonder that I already ordered Paul Finch’s anthology. Chilling tales by Ramsey Campbell, Adam Nevill, Simon Clark, Peter Crowther, Reggie Oliver, Gary McMahon and other award-winning masters and mistresses of the macabre. This wild, mountainous region in northwest England is famous for its towering crags, deep woods and majestic lakes. It is still one of the most popular holiday destinations in the whole of the UK, particularly for climbers, hikers, campers and yachtsmen. But some corners of it are extremely remote and even now in the 21st century remain wreathed in rural mystery and spooky superstition. 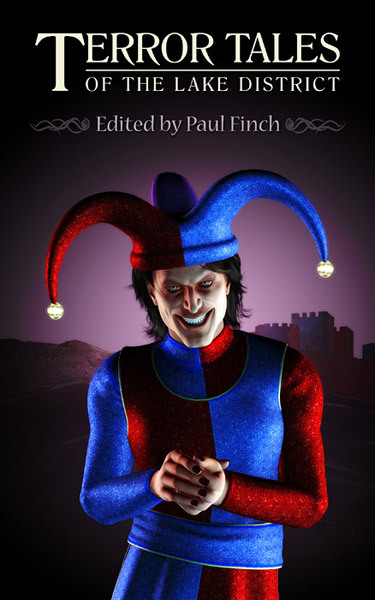 This brand new anthology, edited by master of chills, Paul Finch, contains ten works of original horror fiction all set in England's haunting Lake District, and three classic reprints. It also features numerous anecdotal tales concerning true incidents of Lakeland terror which will ensure you'll never regard that scenic part of the world in the same innocent light again. Before going on the summer holiday I reviewed the first issue of “Arcane Magazine” saying at the time that it would be a shame for this new and interesting magazine to die after its first appearance. Well, unfortunately it did, but fortunately only to be resurrected immediately in a new form. 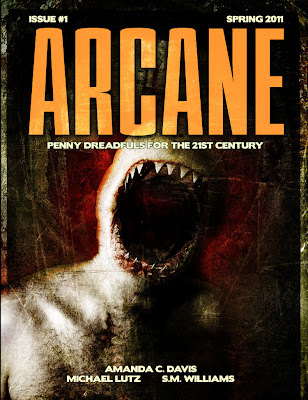 Nathan Shumate, the editor of “Arcane Magazine”, announced the transformation of Arcane, Penny Dreadfuls for the 21st Century from the magazine to an annual anthology series. I would have liked to see more issues of the magazine, but I know that keeping such a publication can be a struggle. Therefore, I am happy that it is not a disappearance into oblivion, but a transformation. And since the first issue, that is now a prelude to the “Arcane” anthology series, was interesting I am looking forward to the first collection of new “Arcane” stories scheduled for release on January 2012. I’ve seen this cover artwork for George R.R. Martin’s “A Dance with Dragons” on the author’s Not A Blog and I really liked it. Well, to tell the truth I liked it the first time I saw it, a while back, on Andreas Rocha’s website in its original title, “Silent Shadows”. Andreas Rocha is one of my favorite modern artists, one with whom I had the pleasure to make an interview for my blog and whose career I followed ever since I discovered his works. 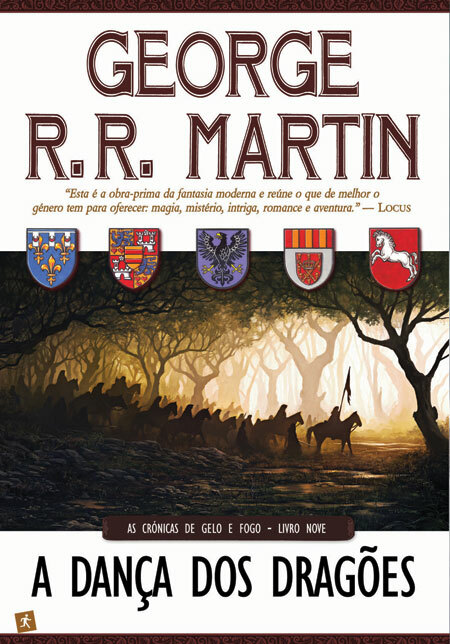 I am happy to see that Saída de Emergência, the Portuguese publisher of “A Dance with Dragons”, chose Andreas Rocha’s artwork for the cover of George R.R. Martin’s novel, because I am always happy to see the works of my favorites, a series, an author and an artist in this case, and more so when they are mixed and balanced together. Since the Portuguese publisher splits each book of “A Song of Ice and Fire” in two volumes I am curious to see what Saída de Emergência has in store for the cover artwork of the second volume of “A Dance with Dragons”. No matter who the artist of that cover would be until the release of that volume we can admire the cover artwork of Andreas Rocha for “A Dança dos Dragões”, more of his art on his website and if you have the pleasure, the interview I made with Andreas Rocha in 2009. 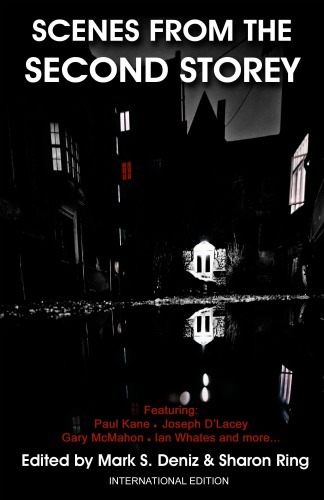 "What They Hear in the Dark"
Then they found the Quiet Room. I have the chance constantly to read and review the debut works of various writers, but not very often it happens to read and review the debut title of a new publishing house. I actually think that it happened only once before. Now I had a second such chance, when Spectral Press released its first chapbook from a series of limited signed editions, I am not a very big fan of the limited editions, but that is another matter for another time, of such stories, released on quarterly basis. 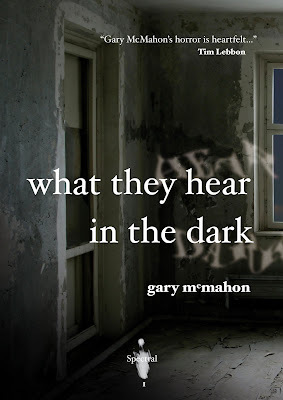 And what better way to start such a publishing project than releasing the work, “What They Hear in the Dark”, of one of the strongest modern horror voices, Gary McMahon, if not the strongest. Rob and Becky find themselves in need of a dramatic change in their lives after the violent death of their son. They buy a new house, in need of heavy repair, in an attempt to give a new meaning to their lives, to have a purpose that occupies their mind and time while their emotional wounds are soothed and healed. Throughout the entire chapbook it is obvious that the house bought by Rob and Becky is a metaphor of their marriage, an extrapolation of their relationship in the new acquired house, both in a crumbling state due to an absence. The same thing is with the Quite Room, the central point of Gary McMahon’s story, again brought at the metaphorical level as well, an image of how the married couple deals with their tragic loss at individual level. If this juxtaposition is one of the main keys of “What They Hear in the Dark”, the emotional impact brings an uncomfortable similitude between what experience the characters and the reader. Gary McMahon manages to reach beyond the pages of his story, the tragedy of the couple, more underlined by the brutal and ruthless characteristics of that tragedy, the emotional torment of the characters and the heavy atmosphere of the marriage are brought into existence with such vividness that it is impossible for the reader not to be marked. It is true that the story focuses more on Rob’s emotions, Becky’s feelings being only sketched, but that I believe that would have been a greater problem if “What They Hear in the Dark” was longer and not only a twenty pages story. Besides this minor point however, there is nothing to complain about Gary McMahon’s chapbook. 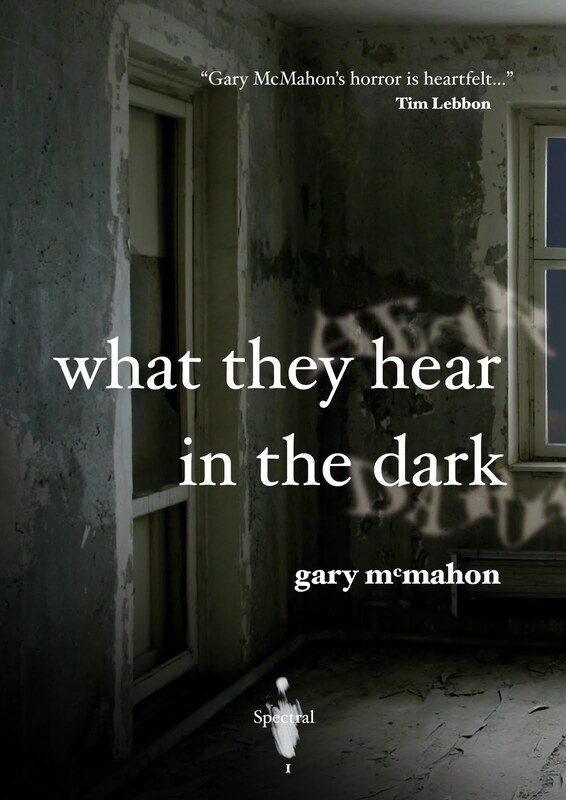 The beautiful prose, the way Gary McMahon slowly reveals all the levels of his story and emotional impact make from “What They Hear in the Dark” a story that is not easy to forget. Gary McMahon’s “What They Hear in the Dark” is Spectral Press’ first released publication, but if all its planned chapbooks are as these twenty pages of sheer emotion I am willing to be its faithful follower despite my dislike for limited editions. One of the books I’ve read on holiday, and I am still reading since I am only half through, is Amanda Pillar and Pete Kempshall’s anthology, “Scenes from the Second Storey”. The first interesting thing that caught my attention when I first heard about this anthology is that “Scenes from the Second Storey” is a tribute brought by Mark S. Deniz, the founder of Morrigan Books, the publishing house which released the anthology, to The God Machine’s homonym music album. Each story is dedicated to one of the songs on The God Machine’s “Scenes from the Second Storey” track, but since Mark S. Deniz wished for many talented writers to envision those songs in fiction he ended up with more than thirteen authors for his anthology. Therefore the homage brought to the album came in two forms, a first one edited by Amanda Pillar and Pete Kempshall and featuring an all Australian line-up of writers (which I am currently reading) and a second, international edition, edited by Mark S. Deniz and Sharon Ring. This week, the line-up for the international edition of “Scenes from the Second Storey” was posted on Morrigan Books’ website. It gives me plenty of reasons to look forward to the release of “Scenes from the Second Storey” on 11th November in electronic format and later on in a printed version, but it also makes me wonder, as the anthology’s presentation says, how will the two interpretations in fiction of the same song fare with each other. I am waiting with great anticipation to see how the inevitable comparison will turn out, especially since the bar is set very high due to the impressive and exceptional quality of the stories I’ve read so far in Amanda Pillar and Pete Kempshall’s Australian edition of “Scenes from the Second Storey”. Thirteen tales of murder, revenge, betrayal, obsession and desire - your usual fare? Well not when adding the fact that all these stories were inspired by The God Machine’s album of the same name, a concept queried by some before reading the first of these two themed anthologies. Now comes the second instalment, following on from the Australian authors penning their wonderful versions of The God Machine’s classic tracks to a mix of international authors, commissioned by Morrigan Books to give their take on the songs. How similar are the two written versions to the album’s tracks? Do they capture the essence? You, the reader, can decide for yourselves this November when the international version of Scenes from the Second Storey is released. It is the first time since my high-school years that I feel that the summer holiday was not enough. It is true that back then there were three months of vacation, but three not enough months. This year there were only two weeks of holiday, but I could use at least three more. Anyway, nothing to do about it, therefore thinking too much about it doesn’t have any use. It was a great holiday though. Lago di Garda is a very beautiful place and Sirmione, where we stayed, is a quiet and relaxing location. I could have stayed all day long near the lake and read, but I had plenty of different activities. Visits to some historical places, cycling, splashing in the pool, but no sun bathing since I am a bit like a vampire in this case. Mihnea, our 8 month old son, had plenty of magical moments too. He enjoyed a lot the pool, the walks near the lake and meeting the ducks that swim there and the dogs that walked near it and above all the Mary-go-round in Gardaland. Speaking of Gardaland, we took a ride in Raptor, an insane attraction and an experience that I am not willing to repeat any time soon. A wonderful holiday. So, this week things get back on track slowly. The most pleasant of them is blogging, which will get its regular schedule soon. I have a few more reviews to write, besides a couple of older ones, and I believe that I can start working on them next week. These two weeks of holiday were very busy with diverse activities, but I did have the chance to finish Drew Magary’s “The Postmortal” (which was rewarding), Chris Wraight’s “Dragonmage” and half of the Black Gate 15th issue and of the Amanda Pillar and Pete Kempshall’s anthology “Scenes from the Second Storey” (exceptional so far). Also I will finish the review of Marian Coman’s “Fingers and Other Fantastic Stories”, the excellent collection I’ve talked about before going on vacation. Plenty of things to do for putting my blog back on track. How were the last couple of weeks for you?